The Adventures of Bertram Fiddle is a traditional 2D point and click adventure game that mixes the classic formula up with riveting action elements all weaved together lovingly by Rumpus Animation. "It is quite possibly one of the finest point-and-click comedy murder mystery adventure games set in Victorian London you will play today" - Bertram Fiddle Explore a quirky Victorian London inhabited by strange characters, with even stranger noses, as self proclaimed leading explorator, Bertram Fiddle, finds himself in a bit of pickle. You must help him follow the clues and track down the elusive serial killer known only as Geoff the Murderer before he strikes again. Wander the murky and mysterious streets and alleyways of Old London Town... but be careful whom you bump in to. Watch in stunned disbelief as the story, and your mind, unravels before your very eyes in this animated interactive adventure! The Adventures of Bertram Fiddle: Episode 1 - A Dreadly Business was released on Switch 389d ago in the US and the UK. The upcoming The Adventures of Bertram Fiddle: Episode 1 - A Dreadly Business Xbox One release date is May 8, 2019 in the US and the UK. 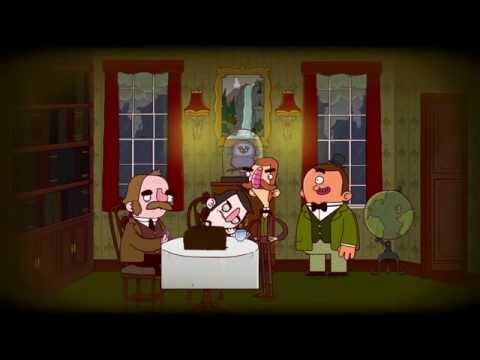 Notify me when The Adventures of Bertram Fiddle: Episode 1 - A Dreadly Business is available.